Use these chains to design your own necklaces! Each is 18" in length. Longer and shorter versions are available by special order. Durable lead-free, nickel-free Tibetan Silver has an elegant design and feel. Great for sports team incentives (forget the trophy! ), kids' parties, party favors, scouting projects, Sunday school projects, home parties, and vacation Bible school activities. Need a party package to entertain a bunch of girls or women? Look no further, we can make it happen! People LOVE our "Party in a bag!" which features chains and charms to create terrific jewelry creations. 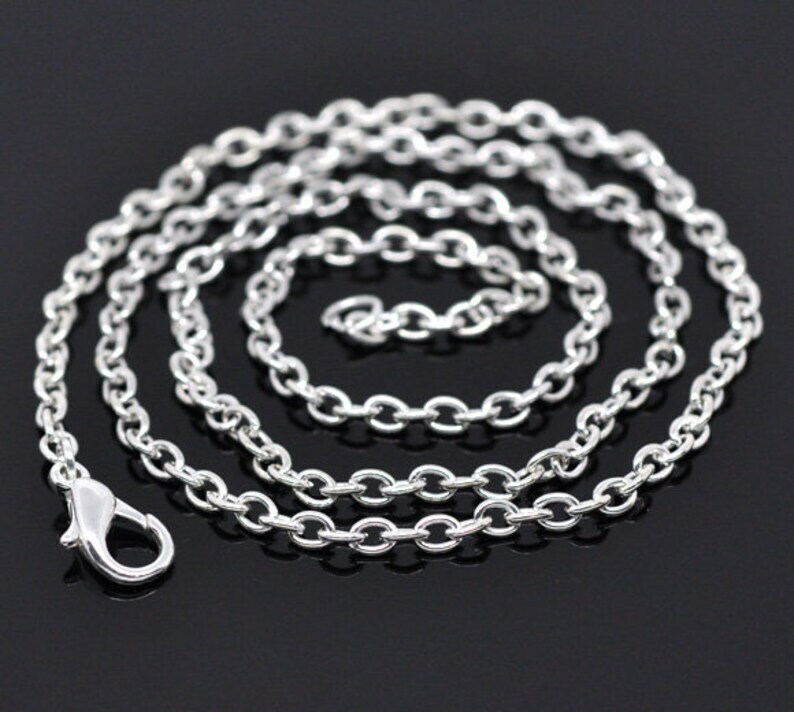 Custom Stainless Steel Bracelets, Anklets, and Necklaces - By the Inch!